Jesus Contreras Magana (left) and Mireille Vargas (right) have been friends since middle school and are excited to both be selected as 2017 Edison Scholars. Jesus Contreras Magana (left) and Mireille Vargas (right) chat about their interests and passions with Pedro Pizarro, Edison International president and CEO. Pictured (l-r): Ashley Eckert, Alex Nguyen, Ana Alba, Mireille Vargas and Jesus Contreras Magana are among the 30 high school seniors honored as 2017 Edison Scholars. Seniors (l-r) Paiam Moghaddam, Ashley Quintana and Jesus Contreras Magana proudly display their 2017 Edison Scholars medals. Bethy Qin (left) and Christine Nguyen (right) celebrate their $40,000 Edison Scholars awards. The seniors are two of this year’s 30 scholarship winners who will each receive $40,000 from Edison International to pursue degrees in STEM. 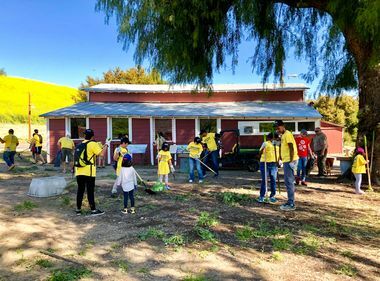 ROSEMEAD, Calif. — Jesus Contreras Magana, 18, had woken up early for work picking lemons in Ventura County with his dad during spring break when he received a screenshot text from his good friend, Mireille Vargas. “Congratulations!,” it said, with both of their names highlighted as part of this year’s group of 30 Edison Scholars winners. The Santa Paula High School classmates will each receive $40,000 to pursue degrees in STEM (science, technology, engineering or math). Magana will head to Yale this fall to pursue a degree in biomedical engineering, the first in his family to attend college. His goal is to work in cancer research so he can help find a cure for those diagnosed with the disease like his grandmother in Mexico. It’s a dream he didn’t think was possible a few months ago because his parents had already told him they could not afford to pay for college. The 30 Edison Scholars celebrate their accomplishments with their families at Edison International headquarters. 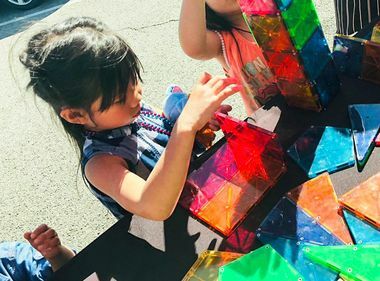 This year, 1,226 students applied for the Edison Scholars award, a program entirely funded by shareholder dollars and administered by Scholarship America, an independent philanthropic organization that manages corporate scholarship programs. Edison International has awarded nearly $7.7 million to 580 Edison Scholars since 2006. The 30 chosen students are from throughout Southern California Edison's service territory and are pursuing careers in STEM. In addition to academic excellence, the students must show financial need. Vargas, 17, and Magana have been good friends since middle school and share many of the same math and science classes. Last summer, Vargas did a four-week internship in the Bahamas with QuestBridge to pursue her interest in the environment. She saw how the island incinerates garbage instead of using landfills, a high source of pollution. 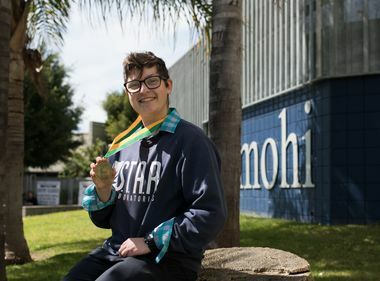 Vargas will head to Stanford this fall where she hopes to earn a degree in environmental systems engineering and work with countries that do not have access to fresh water. Eventually, she wants to volunteer with Engineers Without Borders. 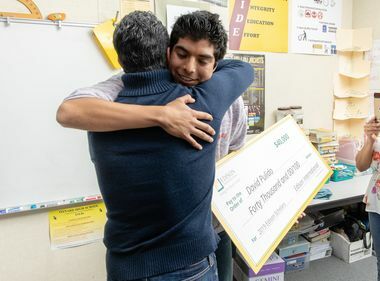 Alex Nguyen, 17, never got his Edison letter in the mail and instead found out he had won the Edison Scholars award after his friend’s father heard his name being announced on the radio. He will soon head to UCLA to pursue a degree in applied mathematics, a subject he has enjoyed since elementary school. Ana Alba, 17, was looking forward to a career as a singer or fashion designer. But in middle school, she took a MESA (Mathematics, Engineering, Science Achievement) course and it changed her life. The Edison Scholar will head to the University of Madison-Wisconsin this fall to pursue a degree in electrical engineering.